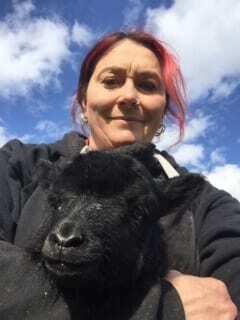 To mark the start of Wool Week, we have a guest article from Sarah, owner of Little Beau Sheep. A finalist in the Best Rural Start Up category in the North, Sarah is the proud producer of a hand-made laundry and body care range. Packed with the power of natural British wool and soothing lanolin, the Little Beau Sheep collection offers an eco-friendly take on everyday cleaning tasks. This year Wool Week runs from 8th to 21st October – an extended programme to celebrate its ninth anniversary. Organised and run by the Campaign for Real Wool – whose patron is HRH the Prince of Wales no less – Wool Week brings together a whole host of wool aficionados on an extended bill of events and activities ‘designed to educate, inspire and promote the benefits of wool’. What’s not to love? Now in its ninth year, Wool Week 2018 takes place between October 8th to 21st. (I know, that’s more like Fleece Fortnight but hey, I’m not arguing with his highness.) Previously Wool Week has featured collaborations between John Lewis, knitters, crocheters and crafters as well as in-store events with big fashion brands such as Vivienne Westwood. There was even knit-fest at Loch Ness – wow! Never one to miss out on a woolly get-together, I thought I’d get Little Beau Sheep in on the act this year. At the same time, I thought it would be even better if I could also do my bit for the charity I support, the Rare Breed Survival Trust. 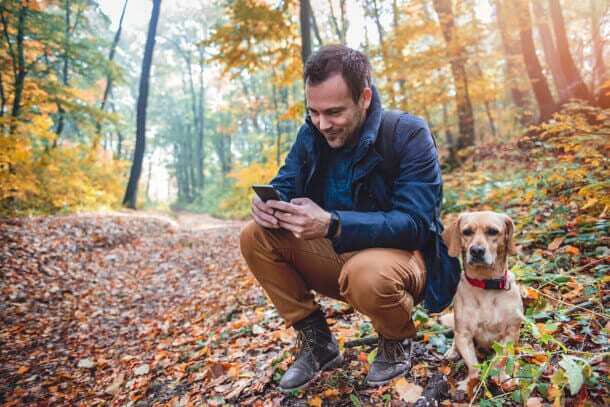 They do an amazing job monitoring, protecting and promoting the unique diversity amongst the UK’s heritage breeds, even saving some from extinction. 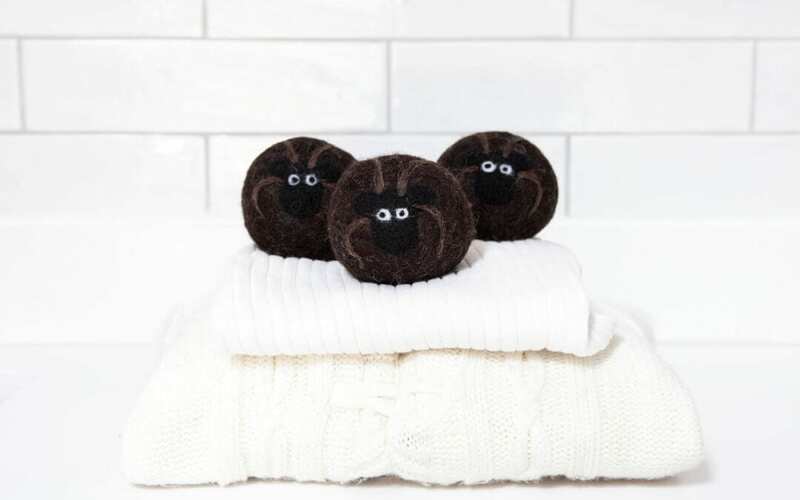 Anyone for limited edition Hebridean-wool dryer balls? 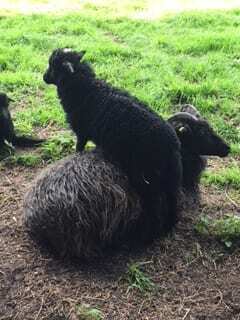 So, as a Little Beau Sheep Wool Week Special, I’ll be launching a limited edition set of Hebridean Sheep Laundry Balls. There are lots of reasons to love a Hebridean. Small, black and especially pretty, they also quite often grow four horns or more, which makes them all the more adorable in my book. These beautiful shady sheep are classed as a Category 6 Native Breed, which means they meet all the society’s proper pedigree criteria. They’re the real deal alright. 1. Little toughies, Hebrideans will happily stay out on the hillside all winter long. 2. These amazing sheep can actually grow a set of more than four horns! 3. Trials have shown that these mini marvels are more profitable per hector for farmers than your common or garden sheep. 4. Hebrideans have no wool on their face or legs – something they have in common with most people. 5. A rain shedding top-layer means they can get rid of water in two shakes of a lamb’s tail. 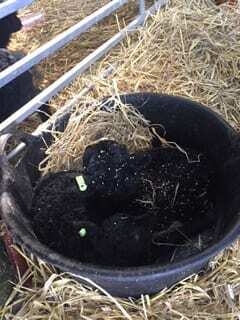 Born on Easter morn, these twin lambs were rejected by their mum as she had problems with her udder. Nurse Nina stepped in and bottle-fed the tiny twosome every couple of hours. Never leaving her side, the adorable duo were transported around the farm in a shopping bag, which they loved! Both are now the proud owners of four horns apiece. Another pair of twins, Eric and Ernie are a delightful double act. Ernie has four horns and Eric two. But there’s something else numerically noteworthy about Ernie: he has three legs. 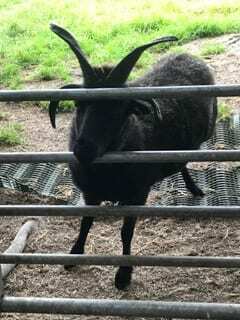 After an accident involving a wheel barrow when just three weeks old, he now has more horns than legs. The good news is he’s a happy and healthy heb! They’re all Hebridean sheep I know personally from nearby Crowkeld Rare Breed Smallholding. And just for Wool Week, they’ve agreed to release some fleece especially for Little Beau Sheep customers. Nina who runs Crowkeld really works wonders with the livestock there and is more than happy for anyone who buys these limited-edition packs to come and meet this amazing flock of hardy hebs. If you can’t make in person, why not take a look at the Crowkeld farm store where you can buy raw fleece (perfect for felting) or super soft Hebridean wool yarn. People can stay there too! 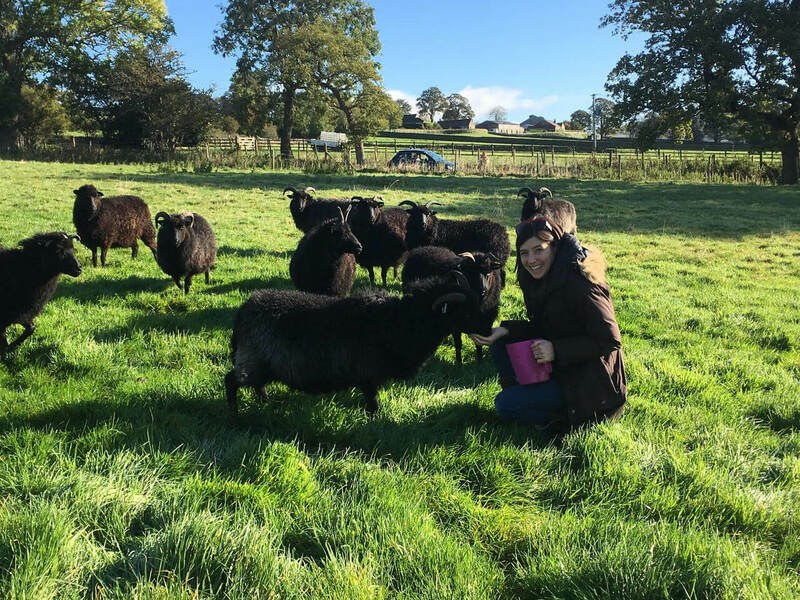 To help support the type of work that goes on at Crowkeld, I’ll donate £5 from each purchase of my Wool-Week-limited-edition-named-sheep-Hebridean-100% pure-all wool-dryer-balls to the Rare Breed Survival Trust. Which means you can shop safe in the knowledge you’re helping out a really important cause. And you’ll also have some very special mini-Hebrideans all of your own to help out come laundry day. Happy Wool Week to one and all! If you are interested in writing a guest blog for the Rural Business Awards, please email amy@ruralbusinessawards.co.uk for more information.